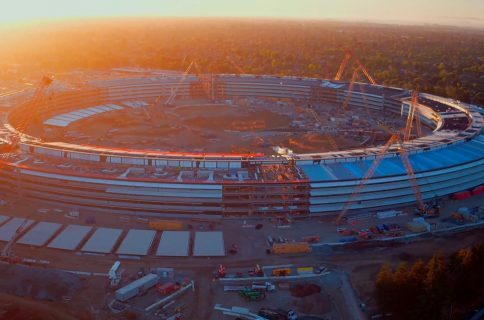 Apple’s upcoming Campus 2 building, nicknamed by the press iSpaceship due to its appearance resembling a flying saucer that has just landed in a field, will be more environmentally friendly than initially thought with news Wednesday that the facility will take full advantage of recycled water. 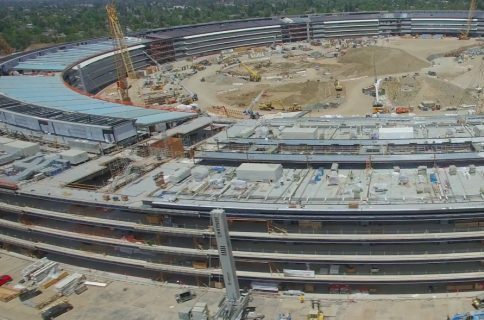 Apple’s futuristic campus is reportedly planning to pump more reclaimed water in Sunnyvale and “introduce the repurposed H²O to neighboring Cupertino”. The board has now approved a budget and authorized agreements for the project, which involves laying a 13,300 feet pipeline to supply recycled water to both Cupertino and Apple’s Campus 2. The upcoming pipeline will have the capacity to pump up to ten million gallons per day, which is a quarter of the recycled water expected to flow through the South Bay, with the exception of cities like Gilroy and Morgan Hill. A booster pump station will be built as well to increase the water pressure for sites at the end of the line. 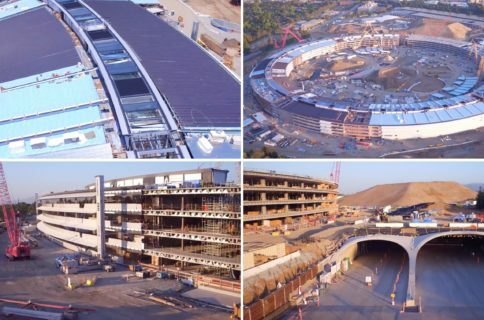 Due to iSpaceship’s immense size, three percent of the pipeline’s capacity will be devoted to Apple, which works out to about 157,000 gallons of recycled water. In addition to partly funding the initiative itself, Apple is collaborating with the water district, the city of Sunnyvale and the California Water Service Company on supplying recycled water to iSpaceship, which is currently projected to go online some time in 2016. 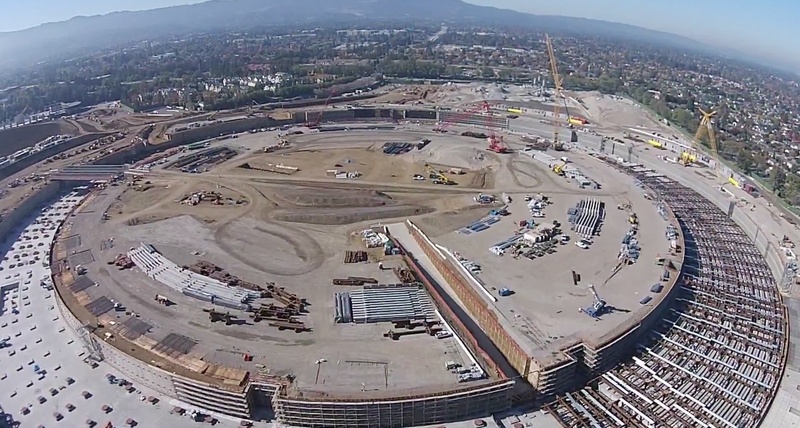 Here’s the latest aerial photograph of the iSpaceship site provided by Apple and shared on the City of Cupertino’s webpage tracking updates on the project. Specifically, Apple will allocate $4.8 million of its own money to the project, with the rest of the more than $17 million investment provided by the city of Sunnyvale, the California Water Service Company, the Department of Water Resources and the water district. The iPhone maker has “catalyzed” talks among the involved parties, “making plain” its desire to use recycled water on its new campus, as per Katherine Oven, deputy operating officer of the water district. Use of recycled water in corporate facilities is apparently becoming the norm for the Cupertino firm. A report this morning has cast light on Apple’s sizable research and development center being approved in Yokohama, Japan. According to local media reports, that facility too will use recycled water.